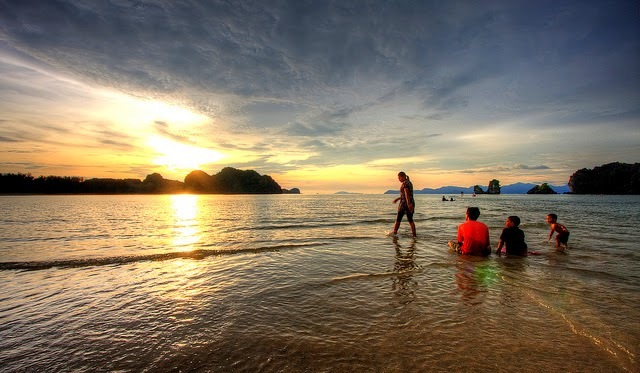 Jellyfish warning for travellers swimming in Thailand, especially during a monsoon season, when rain wind and storms can often bring Box Jellyfish and other unexpected marine creatures closer to the shore. The Tourism Authority of Thailand (TAT) would like to advise tourists to be extra careful, to remain aware and not take any risks by entering waters where signs have been posted. 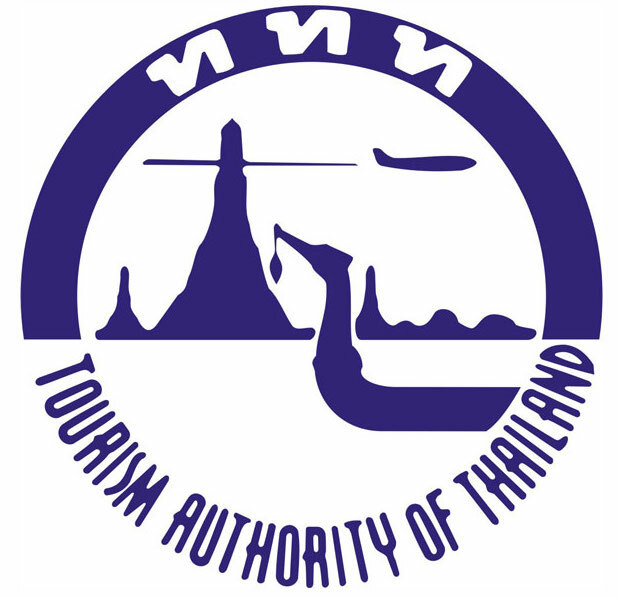 Travellers visiting Thailand are advised to be vigilant when swimming or snorkelling in Thai waters due to the season of Box Jellyfish. Measures are being taken in all of Thailand’s beach resorts to keep swimmers safe. Signs warning of the dangers of jellyfish have been erected and First Aid stations have been set up to deal with any person who might have been stung. Keep looking all around when in the water and try to swim with a partner. 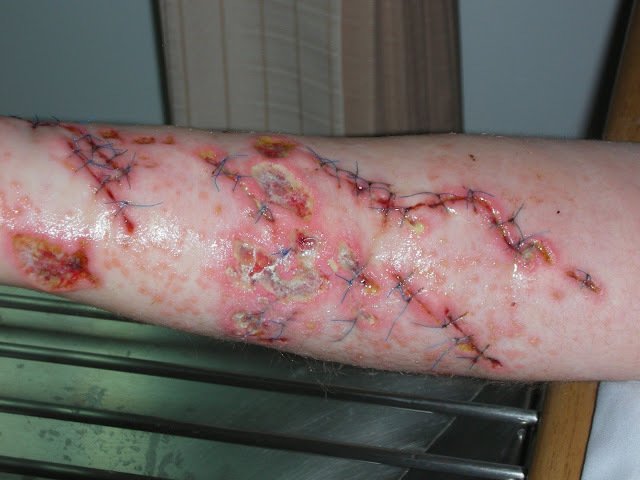 A sting can often immobilise a person, making it difficult to swim back to shore alone. Consider wearing protective swimwear like a rash guard and swimming shoes. Beware of seemingly dead jellyfish on the beach. If they were recently beached, they can still sting. 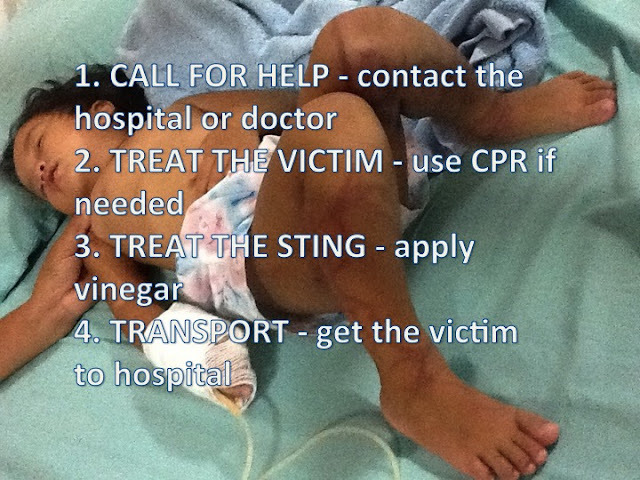 Take the injured from the sea and keep them stay still in order to reduce the spread of poison. Do not wash or scrub the affected area with water or suntan creams, as this will merely aggravate the sting. Liberally apply vinegar to the affected area to reduce the toxic response. Hotels, beach restaurants and diving outfits around Thailand have been ordered to keep bottles of vinegar easily accessible as part of their First Aid preparation. 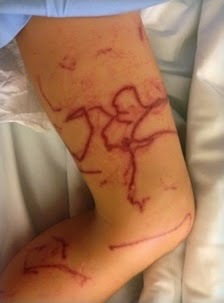 Goat’s Foot Creeper, which only relieves the pain, should be applied after using vinegar. Use sand to cover the sting area and dry out any remaining tentacles. In case the heart stops beating and there is no pulse, CPR should be primarily done to the injured. Do seek medical care if experiencing any ongoing symptoms. 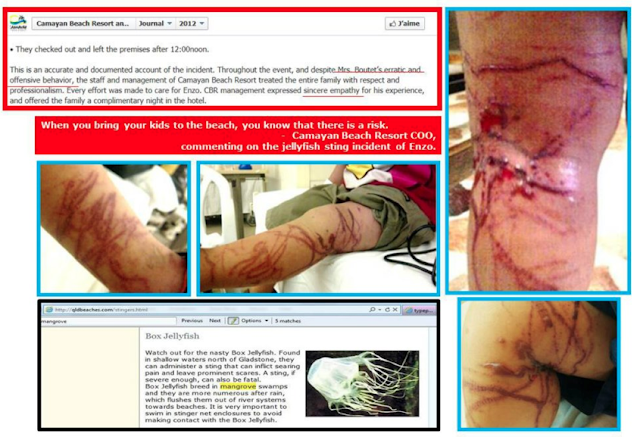 While it is extremely rare for swimmers and divers in Thailand to be stung by jellyfish, we do ask that everyone planning to swim or dive, particularly in the Southern Region of the country, to be aware that there may be jellyfish present. Do not swim if there are warning signs and always make sure of the location of the nearest First Aid centre before bathing. Several species of jellyfish, mostly harmless, can be found seasonally in Thailand. However, Box Jellyfish are initially found off the beaches of Ko Lanta and Hat Nopparatthara – Mu Ko Phi Phi National Marine Park off Krabi province, Nam Bo Bay in Phuket province and often off Hua Hin and Cha-am Beaches in Phetchaburi province, as well as Ko Tao in Chumphon province, Ko Samui, and Ko Pha Ngan in Surat Thani province.